Believe it or not, these two hotties are a real couple, not supermodels! 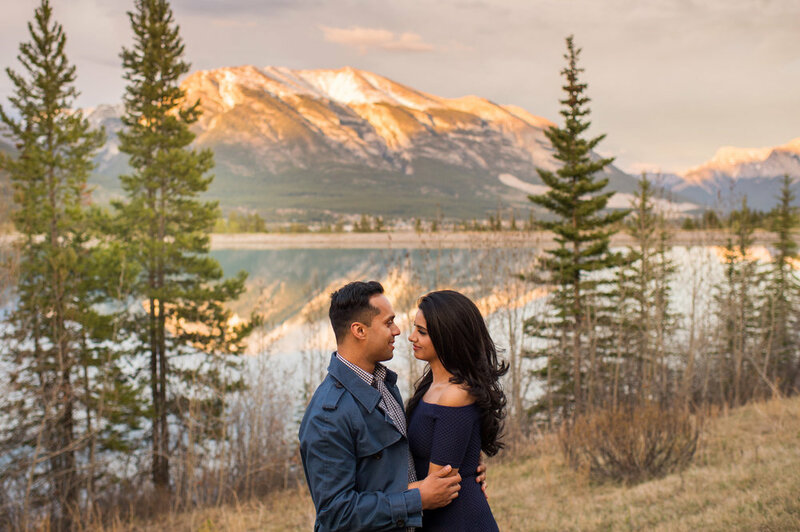 Marla, Sorab and I hung out on a chilly but gorgeous day in Canmore for their engagement session. We had a fun little adventure that included lots of hugging each other warm. I can't wait to share their wedding photos with y'all!